Calling all Svengoolie Fans! “Scary Monsters Magazine” Wants YOU! 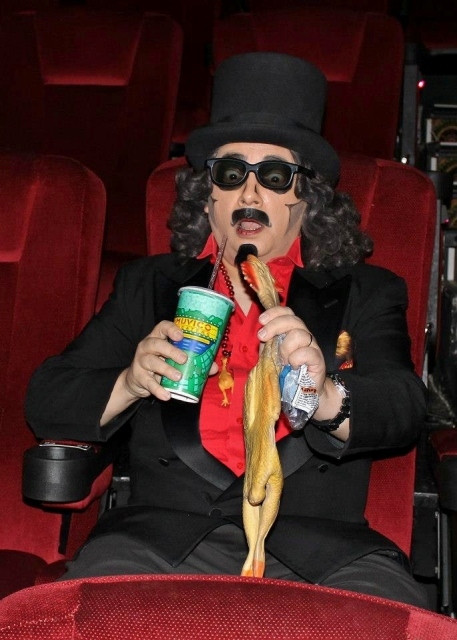 SVENGOOLIE RETURNS! to SCARY MONSTERS MAGAZINE although he’s never really left and has appeared inside many times since his last cover appearance on SM 62. A lot has changed since that Sventastic issue and even more Scary Fans from around the country have been treated to his Scary brand of horror hosting. Dave Fuentes has already contributed several articles and lots of photos to this upcoming issue but now is the time for you to get involved and contribute and pay tribute to SVENGOOLIE/Rich Koz. Dylan James Druktenis has submitted the SCARY 87 mockup of the cover pictured here that will appear in the Diamond Comics PREVIEWS Catalog. Scary Terry Beatty will be contributing the actual SCARY wraparound cover for this issue. ANYTHING AND EVERYTHING RELATED TO SVENGOOLIE THAT YOU WANT TO SUBMIT! DENNIS DRUKTENIS PUBLISHING & MAIL ORDER, INC. The DEADline is February 13, 2013! Get your submissions in as soon as possible and you may be able to SEE them in print in our Spring SCARY MONSTERS issue #87 in mid-late April. This entry was posted in Horror Hosts, Stalking Svengoolie!. Bookmark the permalink. ← “Texas Chainsaw Massacre 3D”…One Face-lift Too Many! any interest in a photo of the first Sven? Thanks David! This issue is actually centered around his protege’ Rich Koz Svengoolie. yes do you have one? I first started watching back around 1980. Was that the first Sven? Thanks Nancy! Do I have one what? 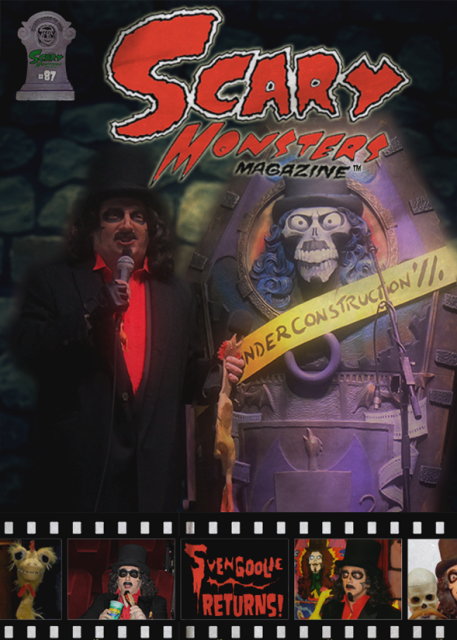 This issue will hit the stands mid April but please send your Sven memories to Scary Monsters Magazine. 1980 was the 2nd and most prolific Svengoolie still operating today. Back then he was called “The Son of Svengoolie” but it’s the same great guy! I just sent a pic taken with sven at last summers godzilla fest @ rosemont illinois…..
That was a GREAT time and Godzilla-sized success! Thanks, Barb! You met the deadline, “Russ,” that’s all that matters. Looking forward to seeing it in print!